Duolingo is probably the most popular mobile education app, but until now, the company’s focus has been solely on language learning. 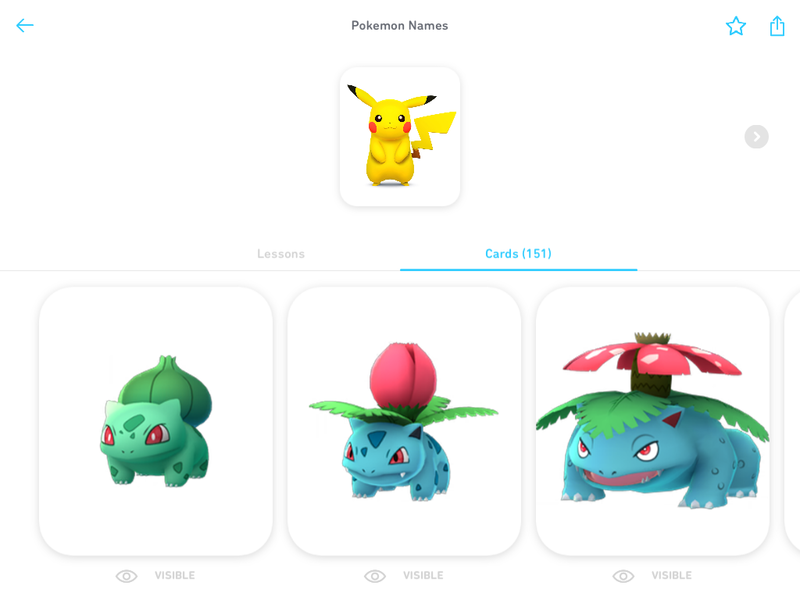 Today, the company is expanding its reach by launching Tinycards for iOS, its first app that can be used for learning virtually anything that involves memorization: vocabulary, equations, history facts and every Pokémon’s name and stats (I’m not kidding; that is indeed a set of cards already available in Tinycards). 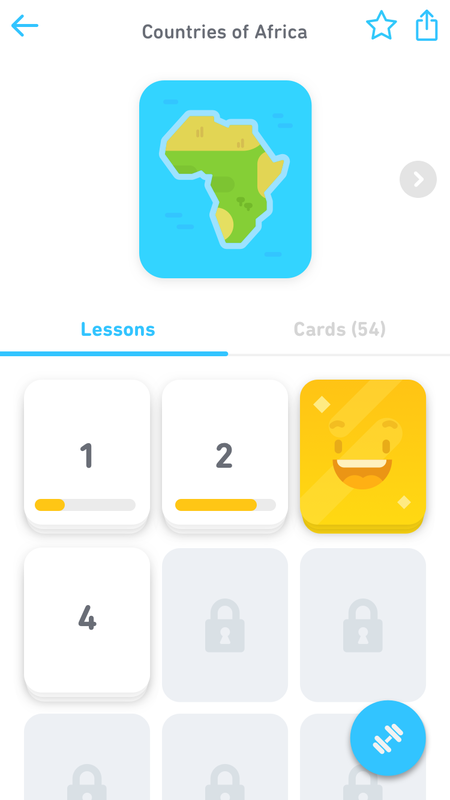 At its core, Tinycards is a flashcards app that uses the same spaced repetition technique as similar apps, but in the backend, it also uses the same algorithms as the Duolingo app to adapt to every learner’s individual progress. Like Duolingo, Tinycards gamifies the learning experiences. Users can unlock new levels and share cards with friends, for example. What’s really different here, though, is that it’s Duolingo’s first app that isn’t all about languages (though it can definitely also be used for that). Duolingo made an early version of Tinycards available to me for testing. When you first launch the app, you get to choose which flashcard creators you want to follow. Right now, most of the featured creators are from Duolingo itself. You can choose between Duolingo for language cards, TinyHistory for historical events, TinyScience, TinyGeo and Chineasy, which Duolingo partnered with to bring its popular system for learning Chinese to Tinycards. To try the app, I opted for the Hiragana course. Duolingo sadly itself doesn’t yet offer a Japanese course, but these cards will help you read some basic characters for your next trip to Tokyo. Using the app feels similar to using Duolingo. You’ll first see the fronts and backs of the cards and then answer questions about them. In the case of the Japanese characters, that means identifying the letters, typing them, etc. This isn’t going to teach you Japanese, of course, but it would definitely make for a nice addition to an introductory course. The app also features card decks for learning basic phrases and animal names in Japanese. Other card sets currently featured in the app range from those that will teach you the basics of the Russian alphabet to the countries of Europe. I also used the Old English card deck to bring back some of that working vocabulary I once had when I translated Beowulf many years ago (there is also a Beowulf deck, too, of course). One nice feature for language-learning cards is that the app also allows you to record audio and attach it to a card. The company says the app already features “hundreds of beautifully illustrated decks.” If you want to make your own card decks, you can do that, too — and anybody within the app can follow your updates and your followers will be notified when you launch a new deck. So if you are an expert in a certain area, you can now use Tinycards to help others learn about your passion, too. Sadly, it’s not clear when Duolingo plans to launch an Android version of this new app, though chances are it’s already in the works, given that the company has always been good about supporting Google’s mobile operating system. Duolingo has now raised $83.3 million. It doesn’t look like the company plans to monetize Tinycards for now, though.